My Fine Feathered Friends are Astilbes. When we first come to be interested in flowers and gardening we often are totally in awe of the range of colors in flowers, we are like ‘kids in a candy shop’ and want to try every type and color tone. Slowly as we are exposed to other gardens and by reading(if we do) we learn more about composition of a garden and what makes for good design. We become more connoisseurs of more subtle things like shape, texture of leaves, buds and bark. This is when we start to pass from being a consumer of gardens and plants to be more of a student of them and can fully appreciate what is trying to be achieved. Astilbes are like this to me, I first was agog in their range of colors and then learned to love their texture within not only their flowers but their beautiful and useful foliage. 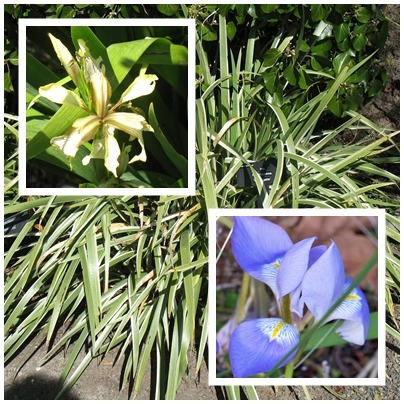 A fine show of blooming Atilbes in the Japanes Gardens at Glendale Gardens, Saanich. I first really got to know Astilbes when I worked for a wholesale perennial nursery, there we shipped literally thousands of Astilbes a year. They sold least a couple of dozen hybrids form the common types sold strictly by color to those named varieties which were being introduced to North America for the first time. It was quite an awe inspiring sight to see blocks of several hundred of one color type blooming at the same moment. I soon learned that not only did the flowers have an interesting range of forms(from droopy and open to upright and tight) but the leaves often changed color as they matured some having bronzy tones and others keeping a bright green shade throughout the year. Astilbe x arendsii 'Fanal' bred by Georg Arends, one of the most vibrant reds in the flower world. Most Astilbe plants originate in Asia except for A. biternata which comes from eastern North America. Not surprisingly the first plants where grown in botanical collections as early as the 1830s, from that time many more have been discovered. Georg Arends(1863-1952) is responsible for popularizing Astilbes. He took the many known species and started crossing them to create a completely new group of plants. Many of his plants have become famous since their introduction in the 1920s and 30s and are classed as ‘x arendsii’ One of his famous introductions is the first ‘red’ Astilbe ‘Fanal’ in 1933. 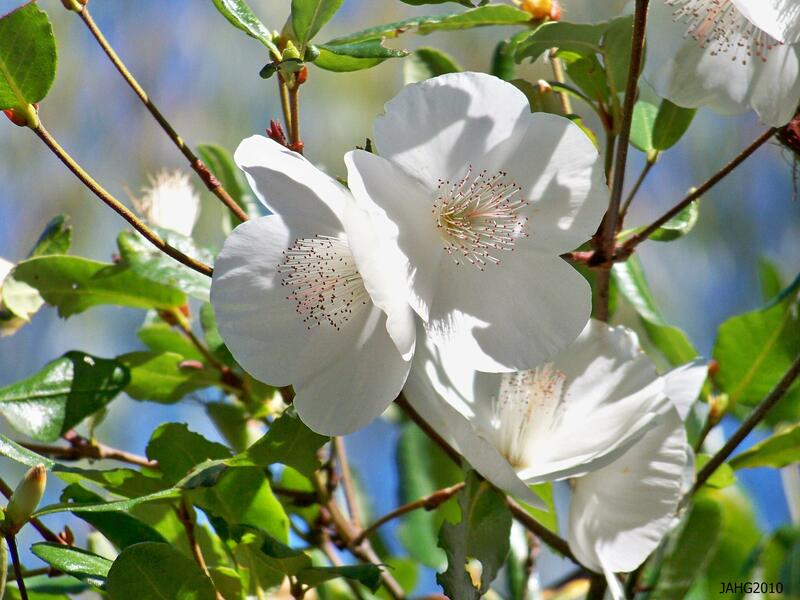 His ‘White(Weisse) Gloria’ from 1924 is considered to be the best of it’s color. You can still count on easily finding ‘Amethyst, Bridal Veil'(Brautschleier), Cattleya, Granat, Hyacinth(Hyazinth) and Pink Pearl(Rosa Perle) in nurseries today. Astilbe x 'Peach Blossom' which was introduced in 1902. There are several other groups of Astilbe hybrids which have been developed; x japonica look alot like x arendsii and have the same species as the parents. 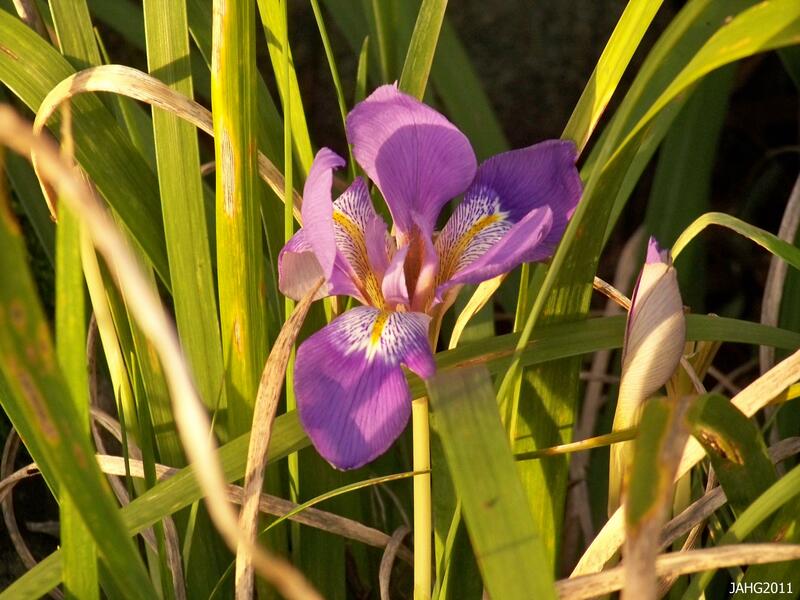 The ‘chinensis’ groups generally all have mauve to magenta colors, more rough foliage texture and flower spikes of a slightly different shape. A newer group from A. simplicifolia offers more restrained smaller plants which have delicately colored flowers and foliage. Astilbe chinensis 'Pumila', a minature which is easily grown from seed. Astilbes are very useful in the garden and are adaptable to many uses. 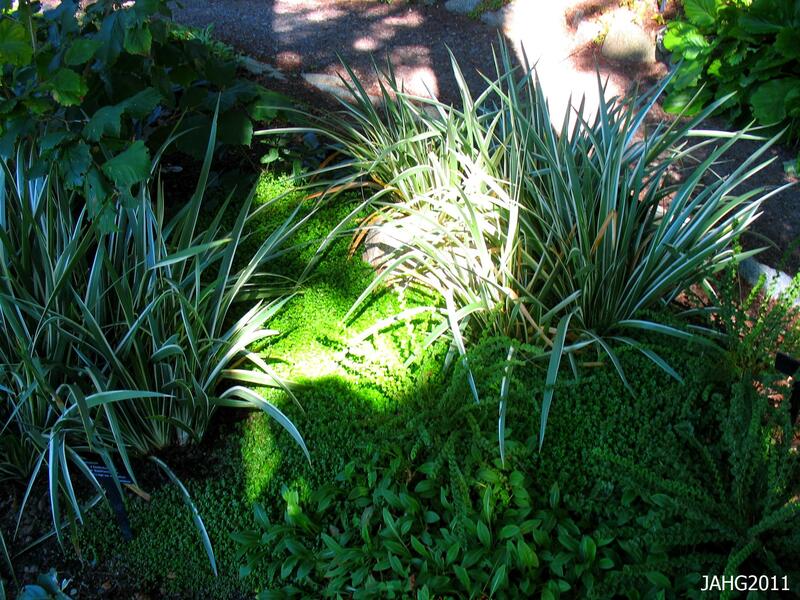 They tolerate shady to bright sun as long as they have a good supply of water which is why they are often seen in boggy places or alongside water. 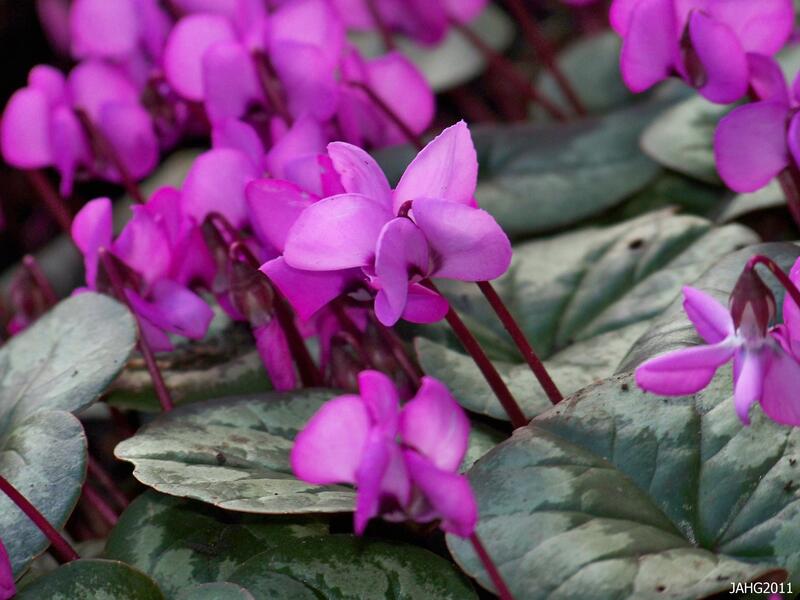 They look attractive from the time they emerge from the ground with their delicate foliage and associate well with other plants such as Hosta, Heucheras, Ferns, Iris and Polygonatums to create beautiful nuanced foliage tapestries. A lovely colorful shady border with Astilbes at Government House in Victoria, B.C. To grow Astilbes you need need rich moisture retaining soil which has lots of humus in it. They prefer to be situated in shady or dappled sites which are out of the way during the mid-day heat. Once they have flowered they should be pruned down so they can produce a fresh crop of leaves. 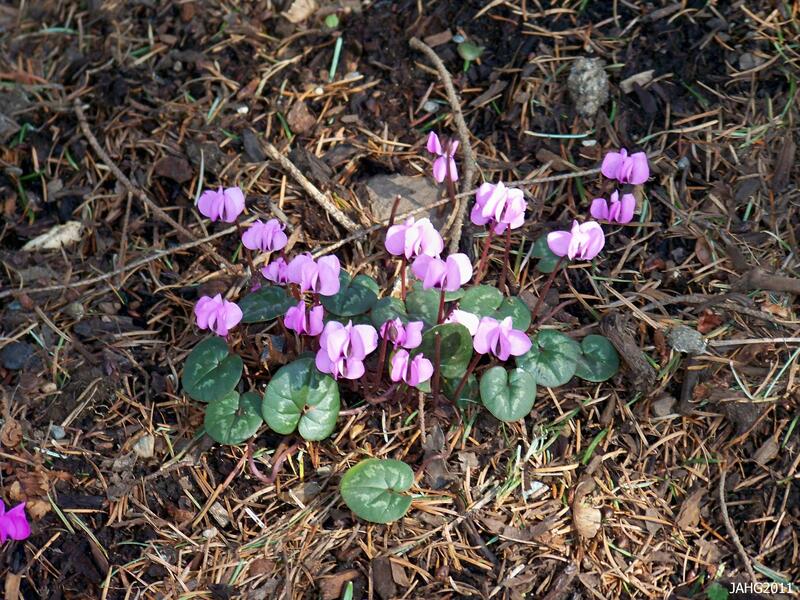 When selecting your plant consider it’s size as they range from miniature which are suitable for a rockery to fairly giant 4-5ft(1-1.5m) tall. 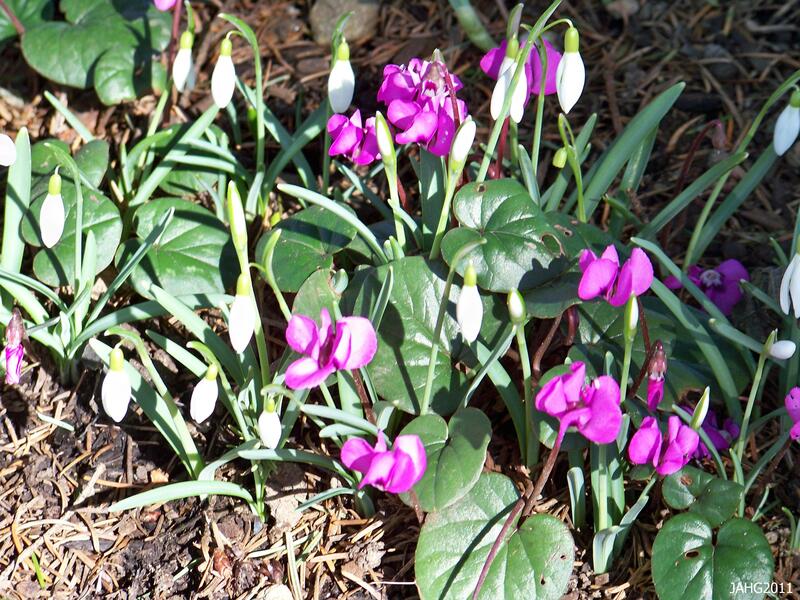 They are generally hardy to zone 4(-20C) but with winter protection will survive lower temperatures. I have found Astilbe chineisis ‘Pumila’ thrives at zone 3a(-40c) in my mothers’ garden so much that it has been divided several times and produces large clumps which make a nice carpet there. 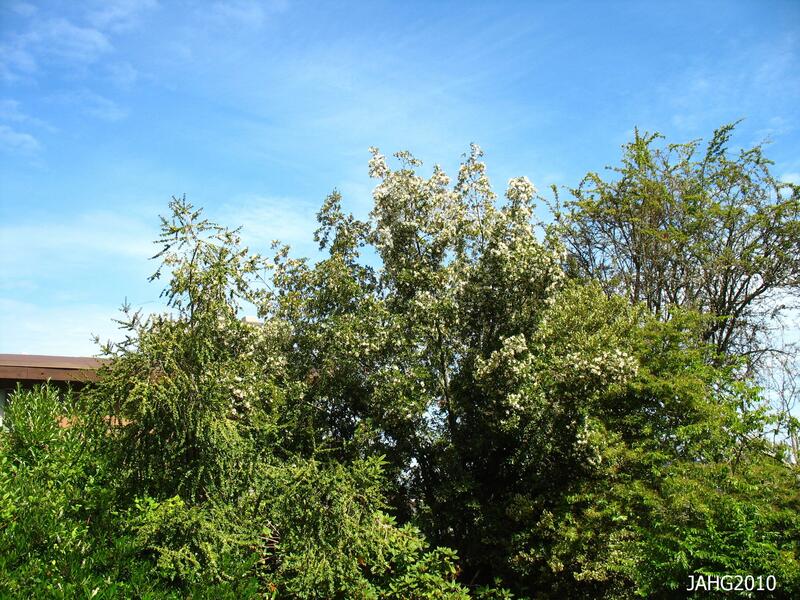 To have a longer bloom period select several varieties; x arendsii and x japonicas bloom earlier with chinensis a little later. A low growing Astilbe simplicifolia hybrid blooming by a pathway. Astilbes are often used as cut flowers. The trick is to cut them before the blossoms have opened. They also can be preserved as dried flowers this way. The foliage is also a nice addition to a bouquet as greenery. A mass planting of Astilbe at U.B.C. 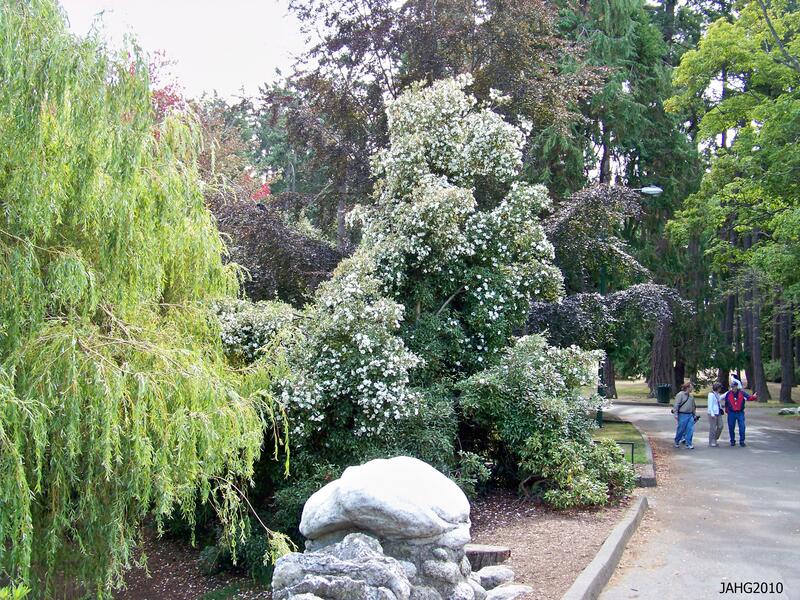 Botaincal Garden in Vancouver, B.C. Until we meet again next week….. The Dawn of a New Rose. My mother’s parents lived on a farm in Surrey for most of my life. As a child we came to visit every summer and went to the beach, the big city and if we were lucky eat fresh cherries off the tree. Later I had a job near were my grandmother lived and would visit her often. it was during this time that we discussed her garden and i would help her with it. It seemed every plant in her garden had a story, who she had received it from, how she learned about it and took care of it. Of all the plants she had collected in nearly 50 years living there, the roses where her favorites. She took particular pleasure in the big rambling rose which grew over the barn and bloomed once a year. It, she proudly told was Dr. Van Fleet and had the most beautiful blooms of all. She was right, it was beautiful and what is even better is it’s ‘sport’ the New Dawn Rose which was discovered in 1930. The Rambling 'New Dawn' Rose. Every year at this time I see new Dawn rose in all it’s glory at the Memorial Rose Garden next to the Sidney Library. I have enjoyed visiting the garden through the year and the roses there are kept in perfect heath and beauty. It is a formally laid out rose garden. The arbor which the New Dawn Rose grows up was constructed the Town of Sidney Parks Department as a memorial to the late Robert(Bob) Jackson who developed the Memorial Rose Garden. It is not surprising that the ‘New Dawn’ Rose was selected to be featured as it was selected as the worlds most popular rose in 1997. Dr Walter Van Fleet (1857-1922) was the developer of the ‘New Dawn‘ Rose indirectly. He developed the very famous Dr. Van Fleet and released it in 1910. His intention was to create more hardy roses which would grow well in the colder North American climate where he lived. 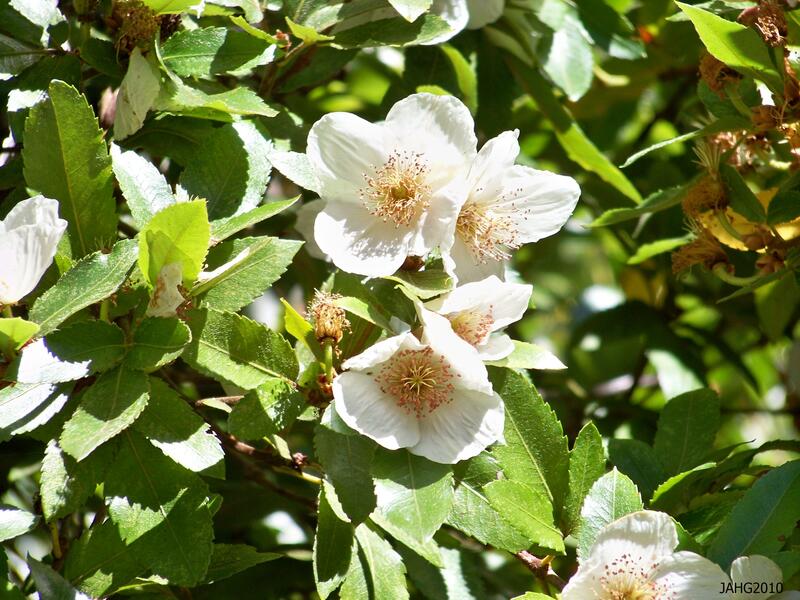 Over time he selected Rosa wichuriana(the ‘Memorial Rose’), a white rose as one species to work with. This rose contributed it’s lax stem habit and lovely semi-evergreen disease resistance. The cross is (R.wichuriana x Safrano) x Souv. Du Pres. Carnot, the later two not in common cultivation anymore. ‘New Dawn’ Rose was a sport which shared most of the ‘Van Fleet’ attributes but is said to be re-blooming and be slightly less fragrant. 'New Dawn' Roses Are Semi-double Flowering. A ‘sport’ is a change in the plant at a cellular level. Some are very stable and can be propagated easily and others are not strong enough or stable and disappear. Finding a branch or plant that has changed in this way has lead to the introduction of many new forms of plants particularly those with variegation or double flowers. The ‘New Dawn’ Rose sport was more subtle and someone must have watched very carefully to have noticed the that it changed. The Hotter the Weather the Paler the Pink Will be in 'New Dawn' Roses. New Dawn Roses are vigorous and need to be placed carefully so they do not run over weaker growing plants. 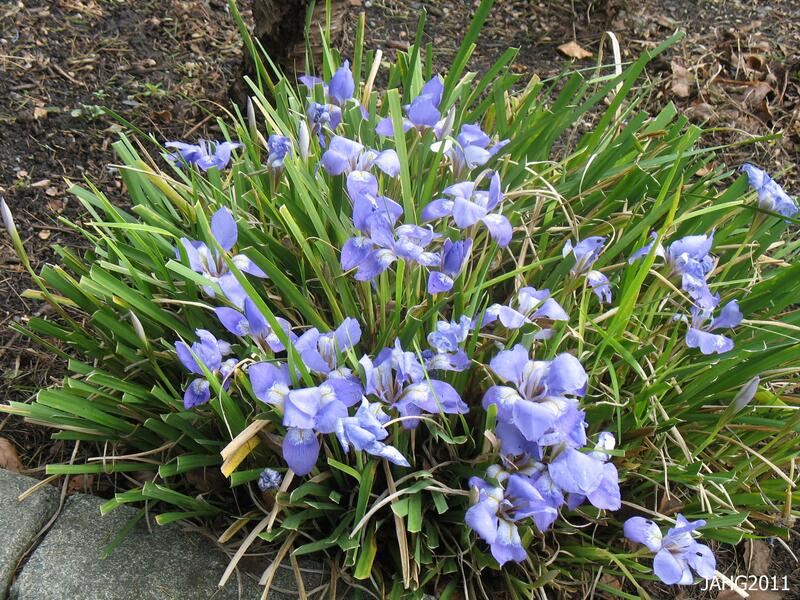 It grows 20-25ft(4-5m) and is perfect for growing over an ugly fence, up and old tree or in a more formal setting. It is a clean and healthy plant which tolerates less than perfect conditions. it takes poorer soil and more shade than many other roses. I be can planted on north facing situations. It is rated at zones 5(-20c or -5f) through 9. 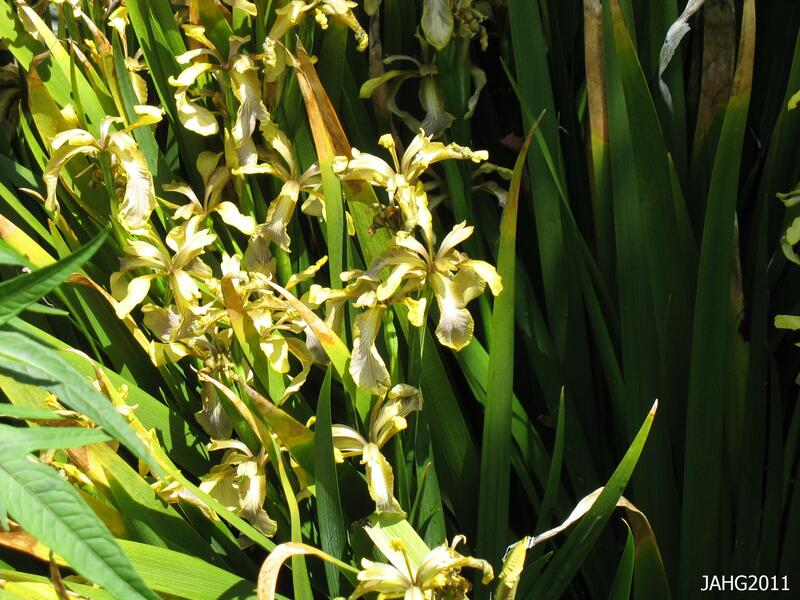 To promote re-blooming and healthy growth it is best to remove(deadhead) the spent blooms and give it a light pruning after it’s first flower flush. It makes a fine cut flowers with it’s long stems. 'New Dawn' Roses Hanging Down From the Arbor In Sidney. Until We meet Again Later This Week…..
Achlys, The Sweet After Death. When I moved from the lower mainland to the Victoria area I noticed several plants growing here which I had not seen before. First there was the Oceanspray(Holodiscus dicolor) which grew everywhere along the rocky drier areas. Then there is the abundance of Garry Oaks (Quercus garryana) which are so starkly noticeable in the winter landscape. Arbutus(Arbutus menziesii) trees grew everywhere as I live on the peninsula. Soon after I settled into my new residence i was invited to dinner at a friends place which was near a lake. After dinner she showed me around her property and I saw for the first time the wonderful Vanilla Leaf(Achlys triphylla) which is an unusually attractive plant. Achlys triphylla also known as 'Vanilla Leaf''. Vanilla Leaf (or ‘Sweet After Death’) is truly a beautiful plant which is often seen along trails in dappled spots of light, where it wanders amongst the flora. I have found it in the vicinity of some of the most delicate and rare species. It also will pop up in thicker darker understory locations deep in the forest growing between the Mahonia, Salal and Sword Ferns. Achlys triphylla Happily Growing in a Spot of Light at Horth Hill Park. For me finding a patch of Achlys triphylla growing along a path I am walking on is indeed a treat. 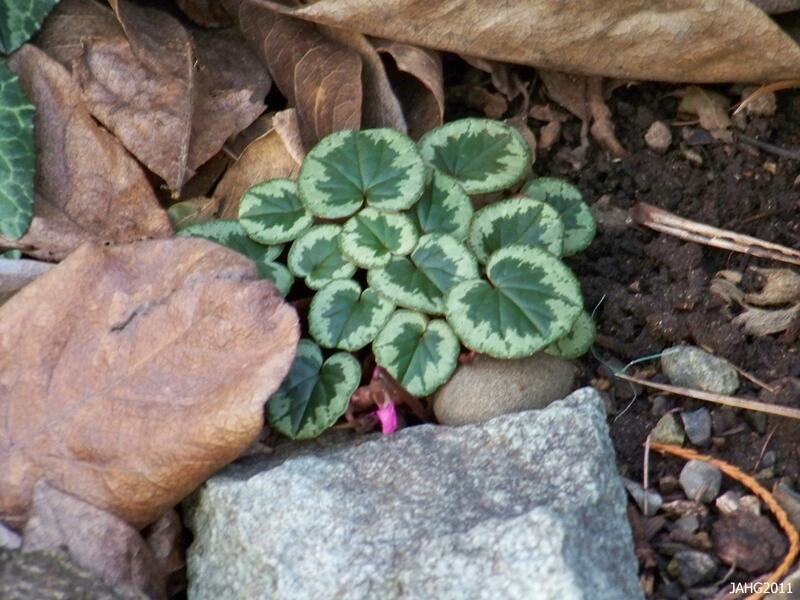 The main treat is the charming foliage which looks like a Clover leaf on steroids. The flowers spikes which are in bloom now are an additional bonus. If I find one leaf I know there will be others as this is a plant which spreads by underground rhizomes(roots). Along a path near my home I found a small colony, since then it has expanded gently to become more noticeable. Horth Hill Park in North Saanich is a fine location for Vanilla Leaf hunting, I was there this week looking and found it in several places in fairly deep shade growing down a steep slope as well in spots of dappling. A Mature 'Vanilla Leaf' with it's Charming Scalloped Leaves. The Latin name Achlys from the Greek goddess of hidden places and in this plant refers to where this plant is found, often deep in the woods. The common name Vanilla Leaf or ‘Sweet After Death‘ is refers to the sweet fragrance of the dried leaves. 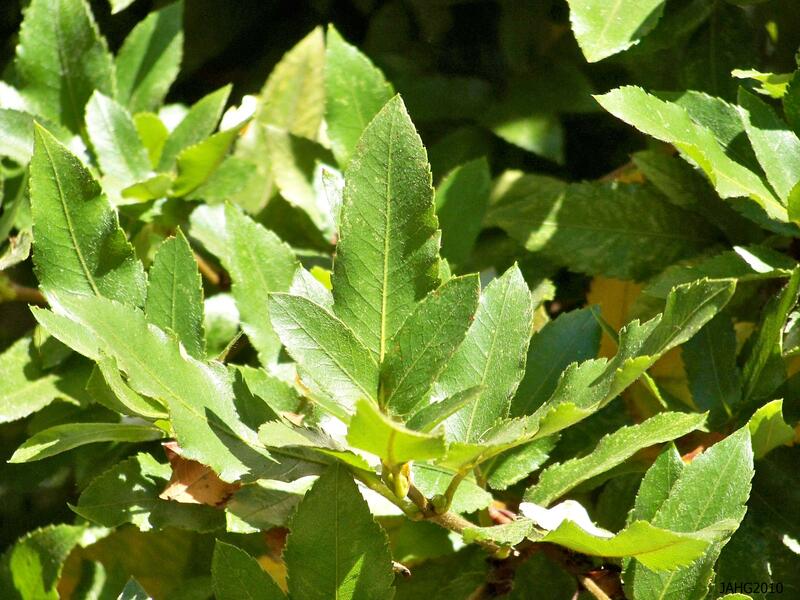 The vanilla scent of the leaves is caused by the presences of natural coumarin which is a powerful blood thinner. 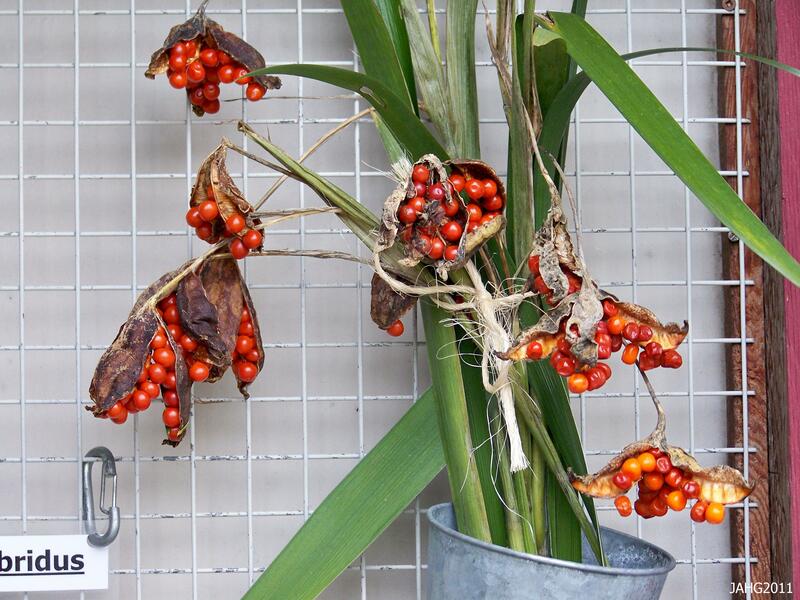 Native peoples used to hang bundles of dried leaves in their resedences to deter bothersome inscects which swarm. 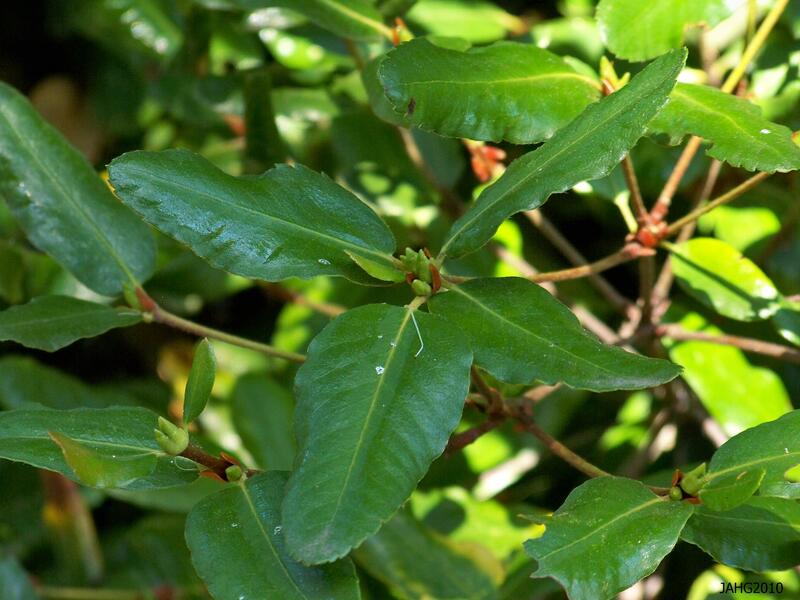 It is said that the leaves were at one time used to treat such ailments and tuberculosis, cataracts and used as an emetic(to cause vomiting). 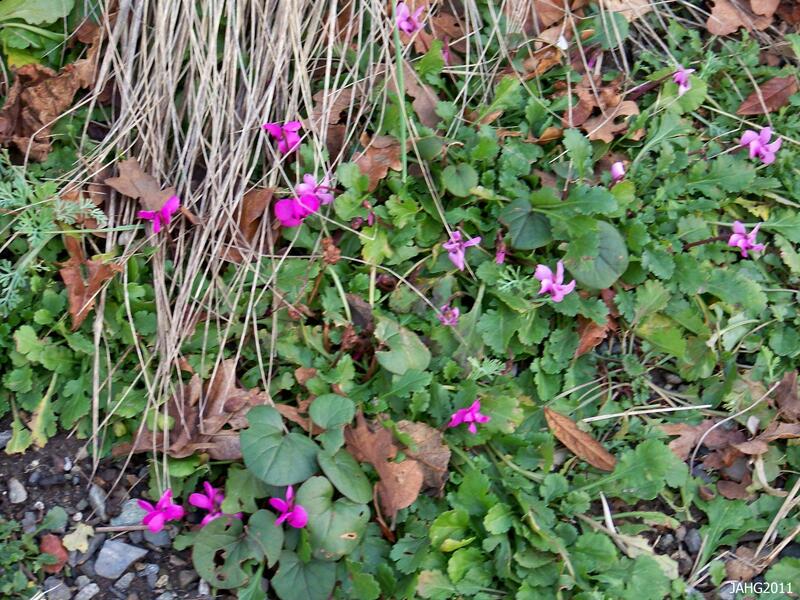 'Sweet After Death' Growing Along a Path in North Saanich. Achlys triphylla makes an attractive taller(to 30cm,12in.) 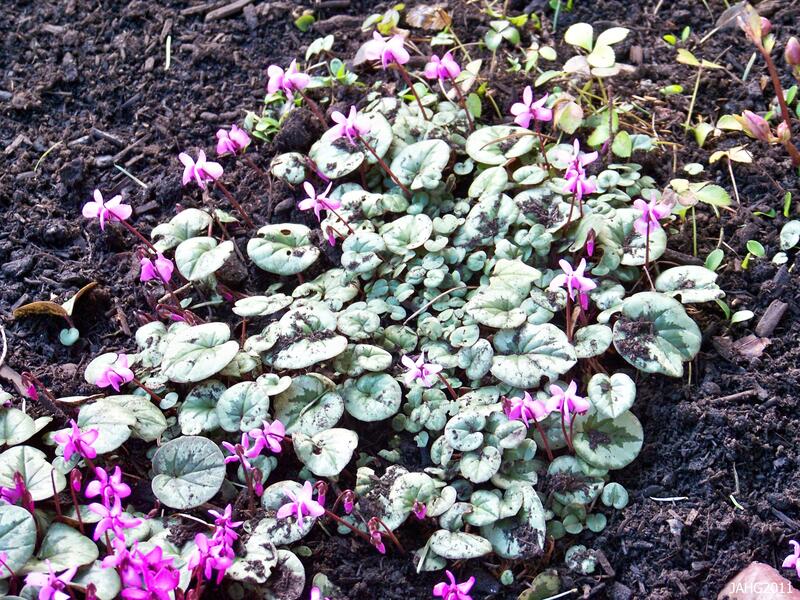 ground cover which would look smashing with more delicate Rhododendrons, Azaleas, Ferns and other rich woodland plants. Vanilla Leaf requires rich humusy, moisture retentive soil which is on the acidic side. It will not tolerate strong sun and will burn in it, so dappled is best. It grows best in zones 6 through 9. If these plants are happy in their situation they will happily colonise and form healthy spreading clumps. 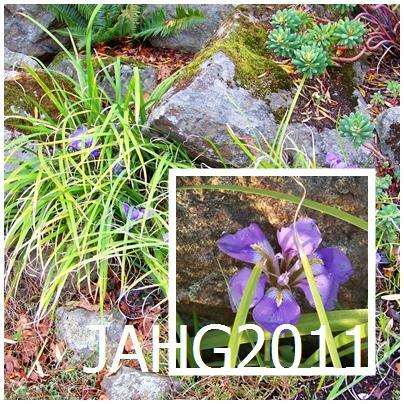 It is best to buy these plants from a reputable nursery where you know they have not been dug up from the wilds. Attractive Vanilla Leaf is Slug Proof.